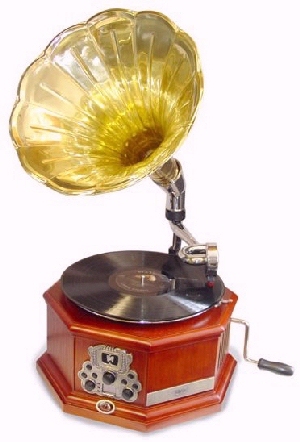 Amazon Gives Away FREE Music Downloads! 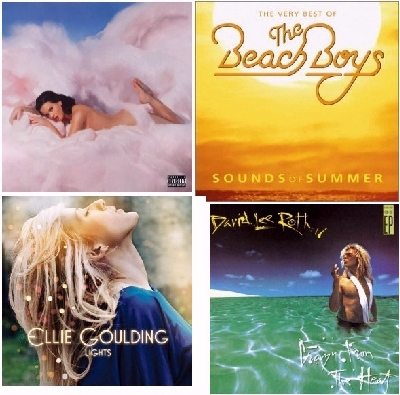 I’ve really enjoyed Amazon’s music give-aways – and I’m always amazed at how many there are. I think I’ve gotten more than a dozen music files for free, which I’ve loaded onto my Kindle for reading “background music,” but this week Amazon’s announced another sale. They’re giving away a $2.00 credit for free music downloads — any .mp3s — if you’re willing to let them post one appropriate message on your Twitter account. I was surprised that Amazon’s offering more free mp3s so soon after their last free music give-away. But apparently they’ve partnered up with the movie web site, IMDB.com, who are listed as the “sponsors” of this latest round of free music. Now I’ve started keeping a “wish list” of songs I’d like for background music, so I’ll be ready the next time Amazon announces a free music give-away. 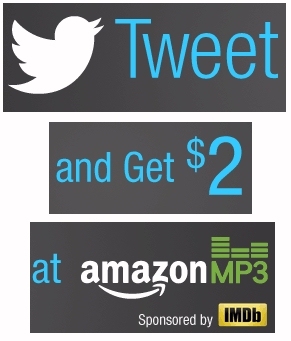 You can keep up on all of Amazon’s music give-aways by “Liking” their page on Facebook (at facebook.com/amazonmp3 ). I’ve been shopping for a Kindle Fire tablet, and I made a startling discovery. You can save a lot of money if you buy a second-hand tablet, either in an auction on eBay, for example, or through an ad on Craigslist. Over the last four days, I’ve checked 35 different auctions on eBay. And the average winning bid for those 35 auctions was just $140! In fact, 13 different bidders ultimately won a Kindle Fire for less than $140. Two people even won one of Amazon’s color touchscreen tablets for just $113.88, and two more paid just $121. I’ve really been amazed at some of the low prices that bidders are getting on a used Kindle Fire. People have won the eBay auctions with bids of just $126.48 or $127.00, and I saw seven different people win a Kindle Fire tablet with bids between $130 and $139! It’s a great way to save money, since most bidders end up getting a 30% to 45% discount. In addition, at least some of the auctions include an expensive case (which would normally be sold separately). It’s one of the advantages of buying from a individual, who may just want to get rid of their Kindles and accessories at the same time. Obviously there’s also some people who are selling damaged devices, but each of the 35 auctions that I checked included a Kindle Fire tablet that was fully-functioning, and without any obvious defects (like a scratch on the screen). And they should all be under warranty anyways, since Amazon released these devices less than a year ago. The prices seem to be even cheaper on Craigslist (though that depends on what city you’re in). And of course, there’s no “selling history” available when you’re shopping on Craigslist. But my girlfriend pointed out the biggest disadvantage of buying a second-hand Kindle now. Soon, Amazon’s expected to release a newer version of the Kindle Fire tablets. So if you buy one now, you’ll be missing out on all the new improvements which are just around the corner! I think that might explain why the prices are so low on eBay – but I don’t want to wait. And there’s always an easy solution if you purchase a Kindle Fire now, and then decide later that you want to upgrade to the newer model. Let’s say Amazon does release an exciting new model of their color touchscreen tablets sometime in October. Then you can always go back to eBay, and try to sell off your own Kindle Fire! Is the Kindle Becoming Less Popular? 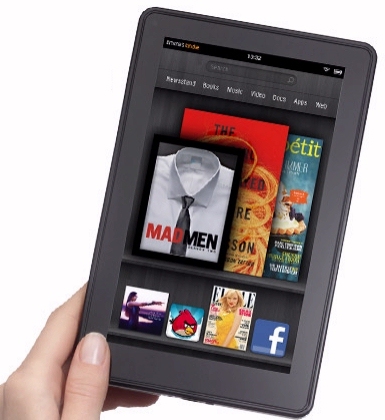 16.3 million Kindles to be sold in 2012. It’s not just Google and Apple that are threatening Amazon’s market share. There’s also some interesting statistics about the Kindle’s biggest competitor, the Nook. According to this article, it now accounts for about 25% to 30% of the ebook market. Over the last year, they’ve sold more than twice as many ebooks as the year before, reporting an increase of 119%. Sales of the Nook itself increased by 45%, and Nook-and-ebook sales together increased by even more, up 47.7%, to a total of $1.3 billion! It’s not just one analyst who’s souring on Amazon’s growth prospects. Another analyst at Pacific Crest has studied Amazon’s supply chain, and is now estimating that Amazon will sell 3 million fewer Kindles than he’d originally expected earlier in the year. He’s still predicting that Amazon could sell up to 15 million Kindle Fires, according to this article at Forbes. And their technology reporter puts all this speculation into perspective. “[W]e will never know if his unit forecasts are right or not..
Twenty MORE Songs for Just .25 Cents Each! and sure enough, they’ve finally announced their second selection of twenty more songs. You can download them all to your Kindle, your mp3 player, or your computer for just 25 cents each! And remember, even if you don’t buy anything, you can still have some fun with this sale. The web page plays a free 30-second sample of each song, so even if you’re really cheap, you can still listen to a 10-minute “montage” of music — the best “summer jams” as selected by other Amazon customers! Below is a complete list of all the new songs that Amazon’s discounted to just 25 cents. 4. We Are Young (featuring Janelle Monáe) by Fun. 14. Go Get It [Explicit] by T.I. 16. Some Nights by Fun. 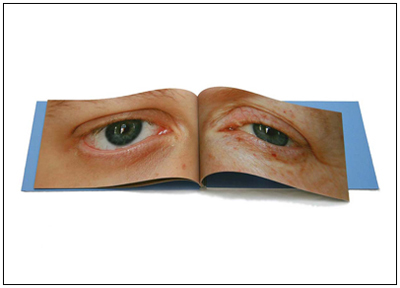 Is Your eBook Reading YOU? In fact, we’ve already taken the next step. “Retailers and some publishers are beginning to sift through the data, gaining unprecedented insight into how people engage with books,” the Journal reports. In the past, publishers only had two ways to measure their readers’ reactions: sales figures and reviews. But now they’re embracing all the giant new pools of data that are coming in from ebook-reading devices like the Kindle. And one privacy advocate at the Electronic Frontier Foundation had an even blunter perspective. When the Journal asked them for a comment, they argued that in our society there’s an ideal, that “what you read is nobody else’s business. 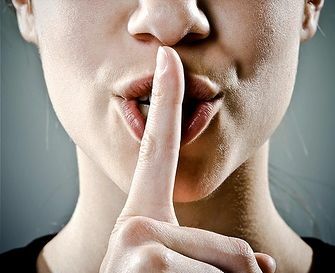 Right now, there’s no way for you to tell Amazon, I want to buy your books, but I don’t want you to track what I’m reading.” And security expert Bruce Schneier also agreed, pointing out that readers could even avoid ebooks about sensitive topics, because they don’t want their purchases tracked. Twenty Summer Songs for Just 25 Cents Each! Amazon’s announcing another fun sale on music for your Kindle. To celebrate summer, they’ve slashed the prices on 20 “essential summer jams”, discounting the price of each song to just twenty-five cents! There’s everything from a classic Beach Boys single to “Wild Ones” by Flo Rida. I’m really impressed by the great variety in Amazon’s “essential playlist”. So what counts as a summer song? Well for starters, there’s two different versions of California Girls — one by David Lee Roth, and “California Gurls” by Katy Perry (with Snoop Dogg). Brian Wilson, the lead singer for the Beach Boys, actually performed the background vocals on David Lee Roth’s version, and for another quarter, you can also download the Beach Boys’ own hard-to-find summer classic, “Good Vibrations”. To see a complete list of all 20 songs, just go to the bottom of this blog post! I think it’s a fun way to add some “seasonal” fun to your Kindle. 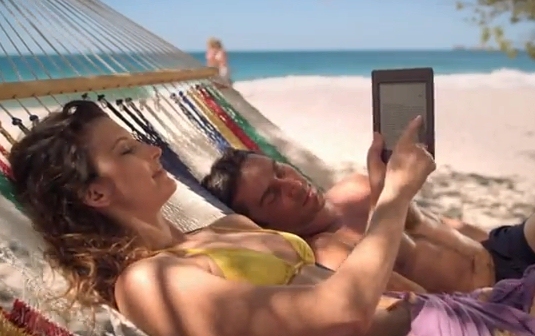 Amazon brags about the ability to read your Kindle on the beach – and now there’s a sale on some appropriately beach-y music! When you’re doing some light summer reading, sometimes it’s nice to have some happy, sunny sounds in the background. Here’s a list of the 20 “essential summer jams” that Amazon’s selling for 25 cents each! 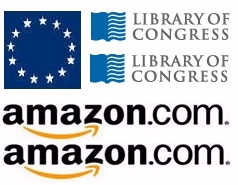 Last week I wrote about a list from the Library of Congress identifying “88 Books that Shaped America.” Yet nearly a third of the books aren’t even available in Amazon’s Kindle Store! Out of all the books ever written, these were the ones which had been selected as the most influential on the lives of Americans. So I created a list of the 29 “missing American classics,” and thought about what the list implies for the future of reading, and the way that we’ll relate to our past. Some of the missing titles were just influential children’s picture books, like The Cat in the Hat, Goodnight Moon, The Snowy Day, and Where the Wild Things Are. (Though you could listen to these stories on your Kindle, as audiobooks!) But for some reason, the Kindle Store doesn’t seem to have a version of the longer children’s novel, Charlotte’s Web – either as an ebook or as an audiobook. And there’s even more influential “books for grown-ups” that seem to be missing from Amazon’s Kindle Store. The two missing books that surprised me most were To Kill a Mockingbird and Catcher in the Rye. (Though some all-American entrepreneurs have apparently written ebooks about these books, just so that interested readers have something else to purchase.) When I went to high school, these books were both considered modern classics, yet you still can’t read them on your Kindle. I’ve heard theories that the aging authors of these two books are insisting that they’ll be made available only in printed form. For some reason, Amazon’s Kindle Store only has a French-language version available for Benjamin Franklin’s influential 1751 study “Experiments and Observations on Electricity.” (And Streetcar Named Desire is available only as an audiobook, though you could also rent Marlon Brando’s famous movie version for your Kindle Fire tablet. ) But I also couldn’t find a complete copy of The Weary Blues, an influential collection of poetry by Langston Hughes. On the other hand, I’ve never heard of a few of the books on the list from the Library of Congress – like Peter Parley’s Universal History from 1836. Some books may have had an influence in past centuries, while being almost completely forgotten by the 21st century. But does that mean that the books that we’re writing today will suffer the same obscurity. And is it possible that going forward, America will be shaped more by ebooks from amateur authors? I’m such a Kindle loyalist, that originally I’d laughed off Google’s Nexus tablet. But Kindle owners may be the ones who benefit most, in the long run. For a while we’ve heard rumors that Amazon’s releasing a newer version of their Kindle Fire tablets very soon. But Amazon will have to make their tablets even better if they have to start competing now with a slick, low-priced new tablet from Google. But what else is there to like, besides the low price, in Google’s new tablet? For starters, there’s a built-in GPS system, which makes it perfect for navigation. (You can even save a city’s worth of Google maps to its drive, so you can navigate without using an internet connection.) The Times’ reporter also liked the way Nexus had a built-in bluetooth and WiFi capabilities, plus a camera in the front of the tablet for making video phone calls. But there’s still some things he preferred about Amazon’s Kindle Fire tablets. 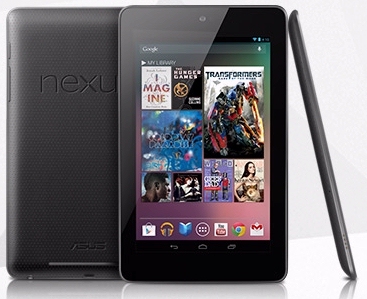 With the Nexus 7, you can only download a song that you’ve purchased twice. In Amazon’s store (and in the Apple Store), you can re-download a song whenever you feel like it. And watch out if you want to watch TV shows. Google’s store doesn’t have anything from either CBS or Fox — or from the biggest cable networks, like WB, HBO, and MTV/Nickelodeon. I like the way the reporter ended his article, concluding that the Nexus tablet was “sweet,” with a smoothness to both its hardware and software that rivals Apple’s iPad. “[I]ts luxury humiliates the Kindle Fire,” he writes, while noting that Google now has to hope that its cool device can attract some cool content into their store. “[I]t’s possible that this tablet may finally help solve Google’s chicken-and-egg problem. 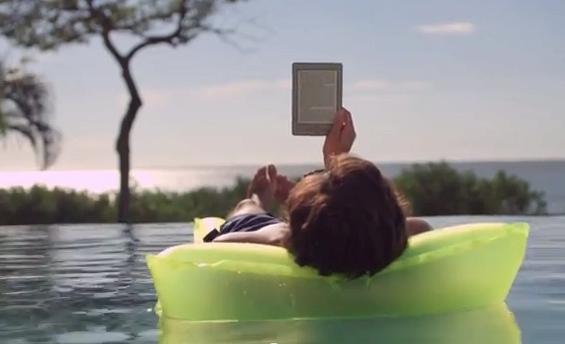 I have a tradition for the 4th of July – and it involves my Kindle. Every year, I point my web browser to Wikipedia’s web page with the fascinating history of the Declaration of Independence. Now Amazon’s Kindle Store has a free copy of the declaration available for downloading (as well as a free copy of the U. S. Constitution). And because of the Kindle, you don’t have to content yourself with a Wikipedia for your American history fix. When he was 65 years old, another American patriot — Benjamin Franklin — began writing a fascinating autobiography of his own life, and it’s available in the Kindle Store as a free ebook! Last month, a fascinating exhibit opened at the Library of Congress. 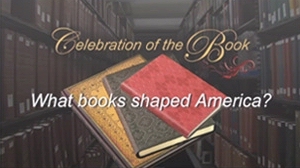 It identified and celebrated 88 different books which had “shaped America”, even changing the lives of many Americans. The list is available online, along with a thoughtful explanation for each of the selections. And best of all, 61 of the books are available in Amazon’s Kindle Store — and most of them are free! He added a hope that Americans would read these books and have conversations about them. 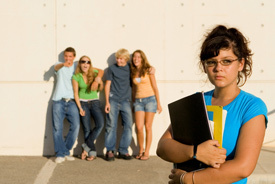 Sure enough, soon blogs around the web were weighing in with their thoughts. One CNN blogger called it “admirably inclusive… The Library of Congress list also includes lowbrow literature alongside the serious novels you might find in the ‘Harvard Classics’ anthology, most notably children’s books from The Cat in the Hat and Goodnight Moon to Little Women and Where the Wild Things Are. And someone calling themself “The Delaware Libertarian” complained that they’d left out what are also some of my favorite books, including Slaughterhouse Five by Kurt Vonnegut, and the wonderful USA Trilogy by John Dos Passos. But maybe that’s the ultimate way to celebrate America: By recognizing that everyone has their own story — their own personal memories of books that had changed their life. I remember being inspired to drive across America after reading On the Road – but I also know that there’s many more books which have probably touched their readers in equally powerful ways. Benjamin Franklin himself formed the first public library in America, specifically because he believed that simply having books available could improve the lives of the people around him. 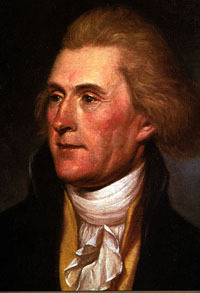 He’d be honored that three of his books made it onto this list, but he’d probably be even more proud to know that more than 250 years later, Americans are still reading books — and celebrating them.